Pumpkins are a must during this time of year! And as soon as October hit I was on a hunt for the perfect one. While out last week shopping at a few craft stores with the hubs (yep, I convinced him to go with me), we stumbled across these really cute craft pumpkins at Michael’s. Initially I wasn’t feeling the whole fake pumpkin idea, especially since ALDI had real ones for just $2.99. But the hubs made a good point…I could pay just $8 (plus an additional 25% off) for a fake one, decorate it however I want and keep it for years to come. 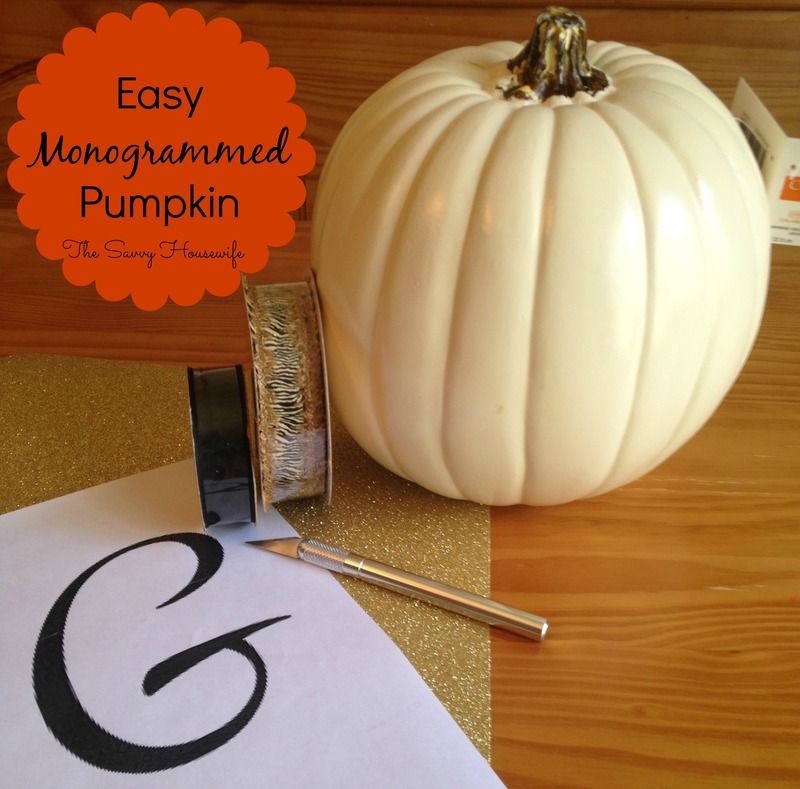 So, needless to say I ended up getting one and I immediately knew that I wanted a monogrammed pumpkin! I searched online for the perfect G but you could just as easily use Microsoft Word or freehand the letter of your choice. I then placed the print out of the glitter paper and cut it out. Finally I glued it on using the E600 adhesive. Unfortunately I forgot to take pictures on how to create the bow, but it is really easy to do, trust me. I used my hot glue gun to attach the bow and other wired ribbon to the craft pumpkin stem. 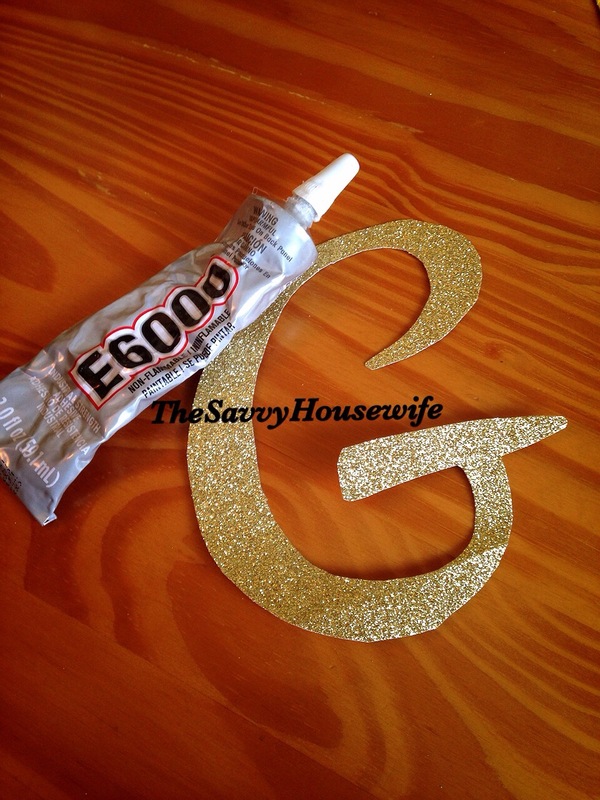 What do you think, this DIY was super easy right? 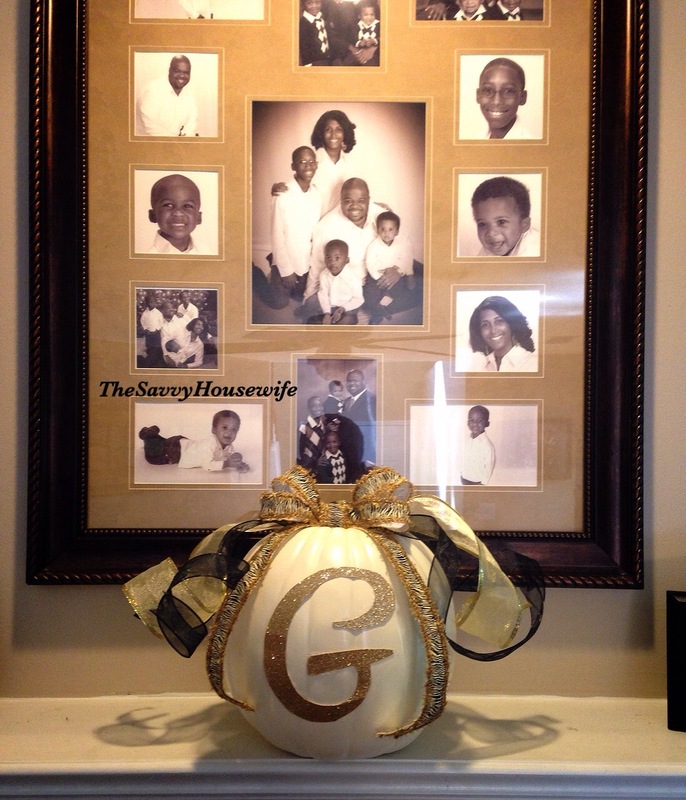 Do you decorate your home for Fall? What do you love most about the Fall season? 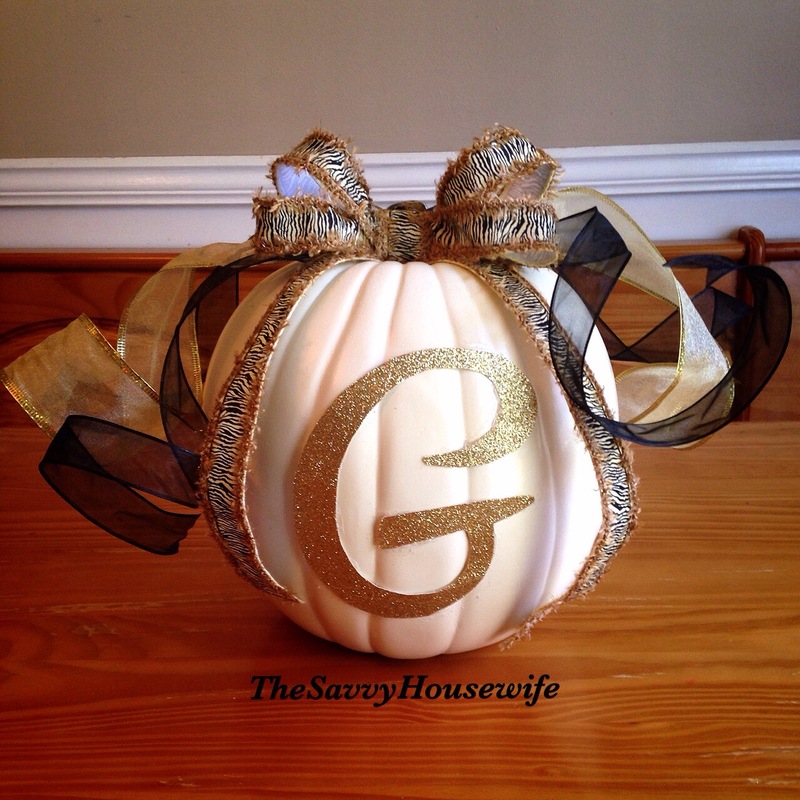 This entry was posted in DIY and tagged Fall, Fall Decorations, Monogrammed Pumpkins, Pumpkins on October 10, 2014 by Roni the Savvy Housewife.